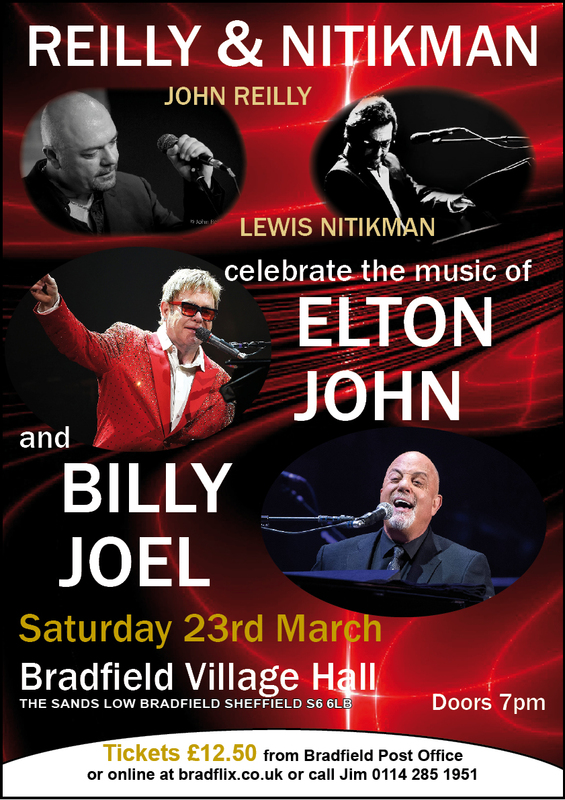 On Saturday 23th March John Reilly and Lewis Nitikman are at the hall celebrating the music of Elton John and Billy Joel. 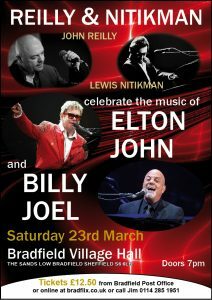 Expect to hear all your favourite Elton & Billy songs, plus a few less well known tunes too. 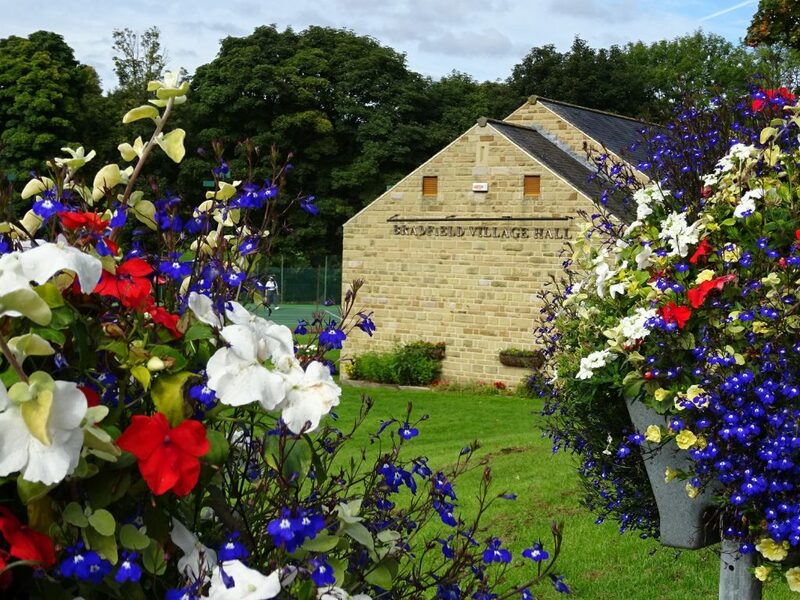 Why not get a few friends together and come enjoy a fantastic evening of high quality live music.